Qantas has begun trying new facial recognition technology at Brisbane Airport, to eliminate the need for passports, even as questions are being raised about facial matching being prone to error. A statement by SITA said the technology would let customers upload their passport to their mobile phone. This is turn would allow customers to check in before they arrive at the airport, eliminating the need to provide their passport and boarding pass at the lounge or boarding gate – thus speeding progress through the airport. The trial began earlier this week – coinciding with a report in Guardian Australia which noted that experts had warned that facial matching “is prone to error, particularly against people of colour”. “People of colour” is a term for people or races with darker skins. The Guardian referred to flaws supposedly found in a biometric face-matching system employed by the US Federal Bureau of Investigation (FBI). However it is not the same system being used by Qantas, in partnership with Brisbane Airport and technology provider SITA. 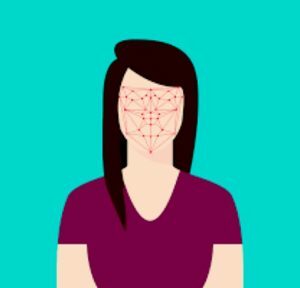 The Brisbane facial recognition trial will run until early December with passenger feedback used to help Qantas prioritise future biometrics trials and investments. The trial is limited to passengers who volunteer to take part and are travelling on flights from Brisbane to Singapore, Tokyo (Narita) and Hong Kong. 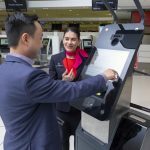 Qantas is a leading airline when it comes to new technologies for biometrics, with more than 20,000 customers already processed through existing facial recognition trials in Brisbane, Sydney and Los Angeles. Passengers download the Qantas Facial Recognition App from the Play Store. Once downloaded, customers then store their passport details and photo on the app. Their data is safety secured and when customers are passing through the airport to the lounge or at the boarding gate, their passport data is matched to their face via cameras, eliminating the need to show their boarding pass or passport. Customers without bags will be able to proceed directly to immigration and avoid going to the check in desks or kiosks in the terminal. Qantas head of product strategy and development, Phil Capps, said customers had told Qantas “that they want to move seamlessly through the airport without having to present travel documents at every stage of their airport experience. SITA president Asia Pacific, Sumesh Patel said biometrics offered the potential for secure and seamless air travel. “Qantas is the first airline to trial SITA Smart Path mobile in Brisbane and is showcasing the innovative collaboration that is required to incorporate this new technology across airlines, airports and security checks.